…With the rate of stealing now even the devil himself will be amazed! Those were the respond my friend Jessica responded me with when I called her on phone and asked girlfriend how are you doing and how was service today? said Cynthia. Cynthia was shocked with the response from her girlfriend and so she asked, what is going on? Jessica: I woke up this morning and I noticed that my Generator has been stolen. You know that my I pass my neighbor nah? Cynthia: oh my God! Yea, but wait you forgot to carried it inside after using. Jessica: no, I didn’t even use it last night because there was Nepa though the light was interrupted by 10:00p.m., I decided not to on it, I slept so that I will wake up early and prepared for service but I noticed some strange sound outside around 11:30p.m., and I couldn’t go out and check since am living alone. In the morning, after my quiet moment with God I went out and noticed that my Generator was not where it used to be. It has been stolen. I was so shocked and I started shouting immediately, my neighbors came out and asked me why am shouting. I told them that my generator has been stolen. They all said that is not possible because they have no records of stealing in the compound before. They were shocked too and told me to be sorry, then they all left. Jessica: tell me you didn’t attend service today because your Generator was stolen. Cynthia: well I won’t lie to you, at first I wanted to because I was so angry but I quickly realized it does not worth it. I knew it was one of the devil’s tricks to make me stay away from church, so my dear good friend I attended the service and guess, what the message was awesome I’ve not seen my pastor in that dimension before and the song the choir minister was very powerful, the service was just so extraordinarily great!!! I was bless indeed! Jessica: unless that thief repents now, he will soon see the wrath of God. Jessica: please don’t let anything bother you, when there is life there is hope. Please take very good care of yourself. Cynthia: thank you very much! Bye! The following day Jessica called her friend Cynthia. Cynthia: please help me thank God for me o…they have returned my generator o. it’s indeed a miracle. One of my neighbors knocked on my door this morning around 5:00 a.m. and asked me to come out and check if the Generator in the cartoon outside is mine. Jessica darling, I quickly opened my door rushed out to check it out and of a truth it was indeed my generator. I was so happy, God is so faithful, He’s awesome, indeed a miraculous God. Cynthia: indeed He’s a Miraculous God. I am happy for you. I told you unless that thief repents now, he will soon see the wrath of God. Jessica: yes...o! Evangelist Cynthia, hahahaha you too much. I thank God you are my friend. 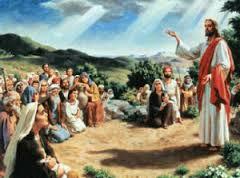 Cynthia: hmm you are very funny; I return all glory to God because He’s a Mighty God and without Him we are nothing. Jessica: very correct, Great is our God and he deserve our praise! Please thank you very much Cynthia, bye for now. My beloved reader, there is nothing God cannot do, when you feel that there is no hope, you can’t recover again he steps into the situation, Jessica never had the hope of having her generator returned to her but God prove Himself strong. My beloved brothers and sisters, what has the devil stolen from you and you believe there is none to deliver you again? Have you been passing through some horrible situation you can’t even tell a friend, your husband, your wife, father, mother, brother and sister about it? Have you been so disappointed, rejected, abandoned, reproached and ridiculed? You try and fail, you run and fall and people laughed at you, none to say here is the way out, you’ve asked yourself questions over and over again still you can’t have the answers to your questions, you cried in your room when no one is round you and you are tired of crying, you’ve sighed and get tired, you prayed and prayed and you begin to doubt if God listen to your prayer at all, you believed none can help but listen, I have good news for you today there is a way out of whatever situation you are going through. Because you are in this blog reading wherever you are, distance is not a barrier; I decree whatever has held you captive must surrender to the name of Jesus in Jesus’ Name. Amen. It is written in Isaiah 45:23 I have sworn by myself, the word is gone out of my mouth in righteousness, and shall not return, That unto me every knee shall bow, every tongue shall swear. In the Name of Jesus, I decree in your life, career,, business, relationships, marriage, academics, home, workplace and ministry that Jesus Christ is the Lord. The Bible says The thief cometh not, but for to steal, and to kill, and to destroy: I am come that they might have life, and that they might have it more abundantly. John 10:10. I decree abundant blessings upon your life in Jesus’ Name. Amen. 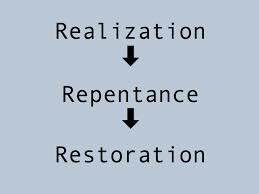 It is time for restoration beloved for is written in Isaiah 42:22 But this is a people robbed and spoiled; they are all of them snared in holes, and they are hid in prison houses: they are for a prey, and none delivereth; for a spoil, and none saith, Restore. 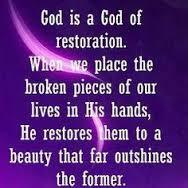 Whatever has been stolen from your life, I declare restoration in Jesus’ Name. Amen. And I will restore to you the years that the locust hath eaten, the cankerworm, and the caterpiller, and the palmerworm, my great army which I sent among you. Joel 2:25 (KJV). 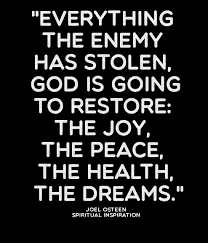 That which was stolen from you, your life, marriage, academics, business, career, home, workplace,and ministry is restored in Jesus’ Name. Amen. For your shame ye shall have double… (Isaiah 61:7) you are cover with the precious Blood of Jesus. Congratulations beloved reader as you trample upon your accuser and with fresh anointing of God moves victoriously into the month of September. Welcome to September and Happy New Month to you all!!! What a beautiful message.. The illustration is indeed a great testimony..
For all we have lost, we shall gain a hundred fold. God is indeed great. Thanks for this. Restoration is your portion this month, you will celebrate the greatness of God in your life in Jesus' Name. Amen. Beautiful and inspiring message. You did well and may the peace of the Lord be with you dear. Greetings! I pray God to Extend His Peace unto you like a River according to His Word in the book of Isaiah 66:12. in Jesus' Name. Amen. you are welcome dear, remain bless!!! Amen to all the goodness this post has for me and all above me..
Lexhan Menkiti, be it unto you according to your faith. no problem about the repeated comments. thanks for visiting.